Maproom has been developing in a steady pace. It could already build maps with accurate heights for small to medium sized maps. 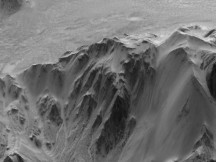 It uses SRTM3 data to create displacement maps for the terrain heights. However for larger maps this is unsuitable. 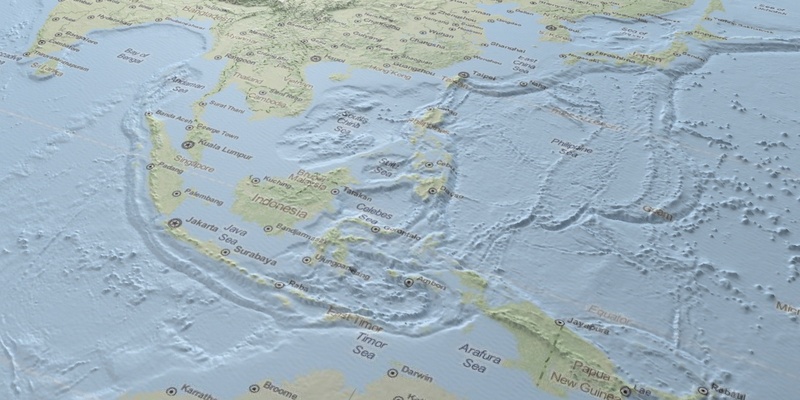 SRTM3 contains about 200k by 100k samples which translates to a displacement map of the same size. That’s just too big! 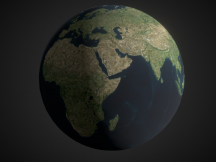 Besides that, SRTM3 only partially covers the earth. Low and high latitudes are omitted. 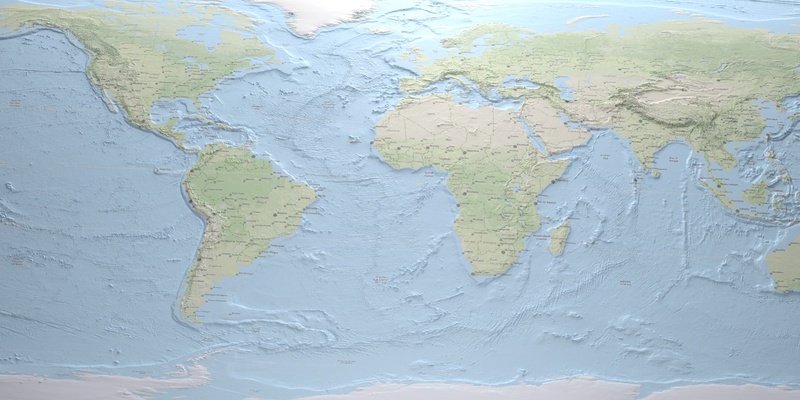 For larger maps, continents or the entire world, we need a dataset which covers the entire globe and has less resolution. ETOPO fits the bill perfectly. There are three flavors: ETOPO1, ETOPO2 and ETOPO5. The numbers 1, 2 and 5 refer to the amount of arc-minutes a single sample in each of these datasets spans. ETOPO2 has a resolution of 2 arc-minutes, which means the entire dataset has 10800*5400 samples. That’s a lot for a displacement map, but is still manageable. I’ll probably add support for the 1 and 5 datasets later on.